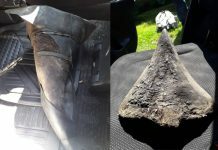 Four alleged rhino poachers were clamped down by police during operational duties and appeared at the Mahamba Periodical Court today, for unlawful possession of rhino horns. 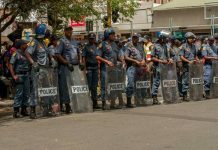 The suspects were nabbed by police from Mahamba Port of Entry, K9 as well as the South African National Defence Force (SANDF) members, who were conducting operations on 11 April 2017. While the team was conducting a search at the Vehicle Check Point, they stopped a grey sedan with four occupants. They searched the vehicle as well as the occupants and police requested the driver to open the bonnet but he told them that it does not open. 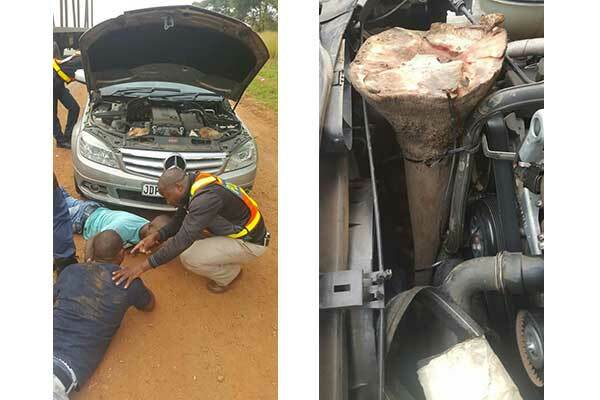 Police insisted until the driver opened it and that is when they found two horns stashed in the engine compartment. The owner of the vehicle tried to evade arrest by running into the nearby bushes but he was outrun and arrested together with the other suspects. Police confiscated the vehicle and the horns. The suspects, Steven Stoltz (32), Clarence Ngomane (32), Keletso Makwakwa (24) and Bathabile Lubisi (32), were remanded in custody until next Wednesday, 19 April 2017.